Travel archive at It’s A WOMAN Thing! As I write this post, I’ve been to Singapore 5 times. Once to spend quality time with my then fiance, and the rest to fulfill my business duties. Singapore is recorded to be the 5th wealthiest country in the world, and is a melting pot of nationalities — Chinese, Malaysian, Thai, Indian — and that diversity is reflected in its varied neighborhoods: Colonial Singapore, dominated by the magnificent Raffles Hotel; Chinatown, home to Buddhist and Taoist temples; and Orchard Road, once the stomping ground of wild tigers and now the poshest shopping street. A walk down Orchard Road. It’s the biggest shopping district in Singapore with lots of malls selling high-end stuff. Tangs, Paragon, OG, Takashimaya Square, John Little, The borders, and Ngee Ann City are worth visiting. If you are into designer brands, you’ll definitely find what you’re looking for in this place. Some impulse shopping at Bugis Street — you’ll only do it once :) This is the place in Singapore where you’ll enjoy choosing from a wide selection and you wouldn’t mind carrying lots of shopping bags. Explore all the adjacent streets to it and you will discover small eateries, fruit stalls, and department stores. A visit to the Merlion Park, the icon of Singapore. It’s adjacent to Esplanade – the theater by the bay shaped like a dome (or rather the pungent-smelling durian fruit). You can stroll along the park to see the major banks and busy central business district surrounding the park with huge sky scrappers and also enjoy the sea breeze, as the park is by the bay. You can hop on a boat in the Singapore river adjacent to it to see all the individual attractions. 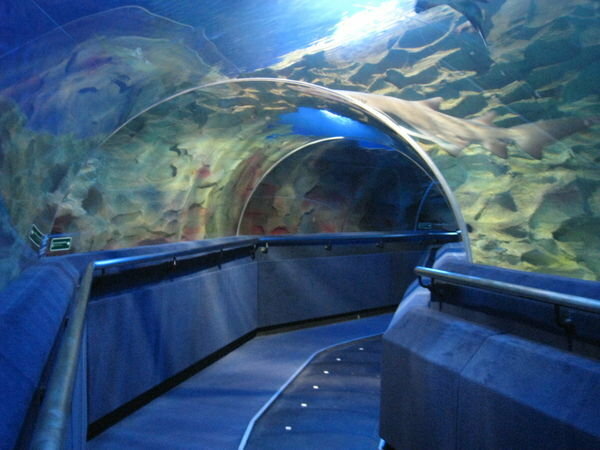 A ride of half an hour trip costs S$12 per person. 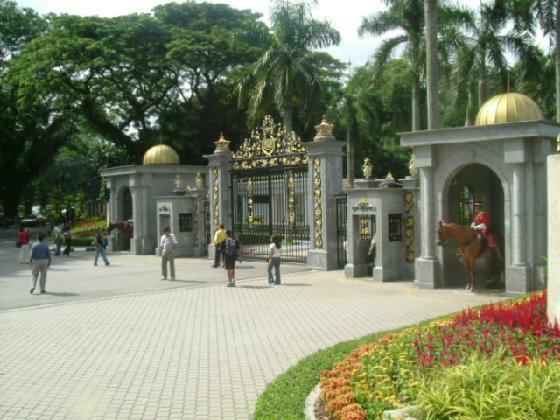 If you love rides, a day tour in Sentosa Island will definitely be worth your time. It will take about 6 hours to see all the attractions in Sentosa, and note that the world-famous Musical Fountain Show is in the evenings only — 7:40pm and 8:40pm every day. Weekends are very crowded so make sure to queue an hour ahead of showing because they always start on time. Swing by Suntec Mall and check out the Fountain of Wealth (listed as the largest fountain in the world). This is the setting for laser performances, as well as live song and laser message dedications between 8pm to 9pm daily. Try out some Hawker food (the ones at Tiong Bahru, Newton, and The Esplanade are worthy to mention). Undoubtedly, eating out in Singapore isn’t complete without a visit to a Hawker Centre – a collection of individual stalls selling food at very reasonable prices, in an open-air setting. Start by “chope-ing” or reserving a table. The typical way to do this is to leave a packet of tissue on the table, and people will immediately understand that the table is taken. Don’t use your celfone or wallet to chope a seat because it’s gonna be stolen. Hawker tables have numbers on them — note your table number because you need to say it to the specific stall where you are buying your food (so they’ll know where to deliver your food). Once you finish eating, there’s no need to clean up or deposit the utensils in a receptacle because there are cleaners who will do it for you. Explore Clarke Quay. During the day, G-Max Ultimate Reverse Bungee gets you tossed like a ball into the air to a heart-thumping flying experience. Or you can embark on a scenic Singapore River Cruise and visit the Asian Civilisations Museum which is within the waterfront precinct. At night, this place turns into the center of Singapore nightlife — with clubs especially targeted to those who love to get drunk. Have a Singapore Sling at Raffles. Even if you’re not staying in this plush hotel, you can visit its famous Long Bar to sample their legendary cocktail. The main ingredients are gin, cherry brandy and fruit juice, but if that’s not to your liking then you can choose something else from their extensive drinks menu. Don’t forget to take your camera with you because Raffles is one of the most famous hotels in the world and even if you’re not staying there you can at least say you’ve been there. Go to the Night Safari to keep you going at night. If you’ve ever visited a zoo during the daytime and been disappointed to see so many of the animals sleeping, then you shouldn’t miss this one. The Night Safari is the first wildlife park in the world designed to be viewed at night, to take advantage of the nocturnal nature of many of its four-legged inhabitants. It’s worth getting there early to see the show before opening time, as this will ensure you have plenty of time to walk the trails and really experience being up close with the animals. Before going home, drop by the China Town to buy pasalubong. It’s a typical chinese street with many shops where you can get your souvenirs at 3 for S$10. Shops sell good table runners, windchimes, fortune buddhas, fans, purses, keychains, toys, decorative items, silk bouses, scarves, etc. If your travel agent or chosen airline offer a free tour, by all means, take it. Singapore is a small island so most, if not all, the places I mentioned above would be covered. Cabs may be hailed in designated stops (which every corner has practically), but it’s still best to take the MRT or city bus because the latter is dramatically affordable. And oh, they follow a “no tips” culture. We booked our flight and accommodation with Cebu Pacific and Allson Genesis Hotel respectively — all done online 3 months ahead of schedule that’s why our overall expense appeared to be cheaper. With extensive research and early reservations, you will be surprised to know how reasonably our money was spent for the entire trip. 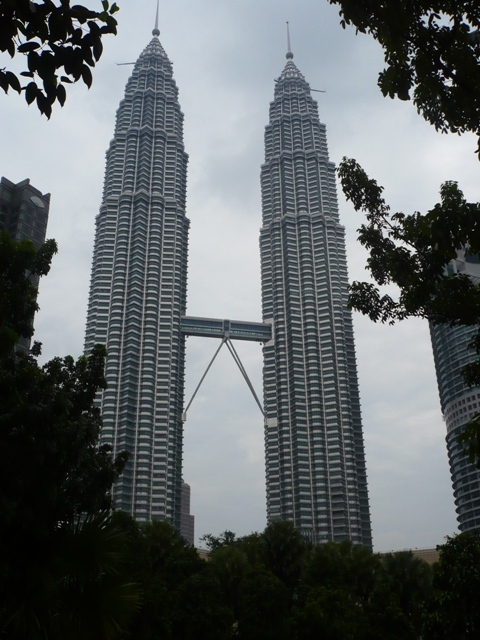 Our hotel was located in Bukit Bintang, the shopping and entertainment district of KL. Entering the lobby for the first time was a bit disappointing, but the cleanliness of the room as well as its size were enough to compensate. Our reservation came with free breakfast which could be better, as the menu didn’t change until our 4th day. Generally, it’s great for budget travelers who are after accessibility above anything else. We did all the tower, park, and museum visits the 1st 2 days. 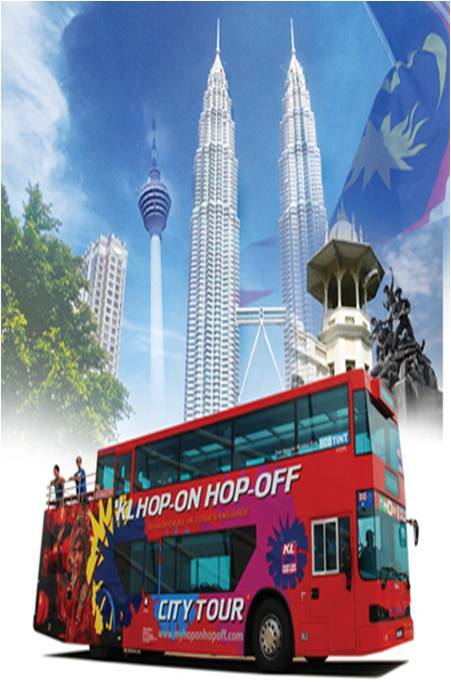 To conveniently explore KL, we purchased Hop-on Hop-off (HOHO) bus tickets sold at RM38 (about $11) good for 1 day… good thing station #6 was just a 2-minute walk from our hotel (many thanks to our friend Pauline who suggested HOHO). The bus route actually covers 43 tourist attractions including shopping centers, but we only went to 20 of them. What we liked so much about HOHO is that you have the option to either stay on the bus for the full tour or hop-off at any of the designated stops and explore the place at your own pace. Every bus has a 30-minute interval, so if you miss the next bus, you can always hop-on to the next ones. Three days before our flight back home, we decided to go on a day trip to Singapore. We were supposed to travel by air but since it was a last-minute decision, we were not very lucky to get a morning flight. Instead, we took a KTM overnight sleeper train and by 8am we were already at Keppel Road in SG. It turned out to be a good decision to travel by train because the cabin was comfortable enough that I had continuous sleep the whole time (which I’m sure would have not happened if we took a bus). I’ll give a more detailed story of that day trip in my Singapore blog. 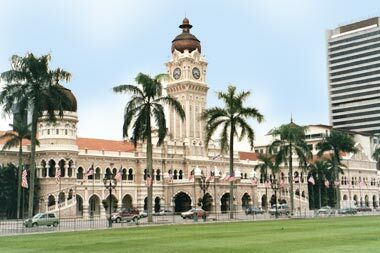 The friendly nature of the Malaysians make the tourists happy and their trip even more comfortable and enjoyable. You can barely defy your appeal to go for endless shopping avenues, varied culture, tasty local foods and fascinating theme parks. The most important thing that each and every visitor search for is the facility for accommodations. 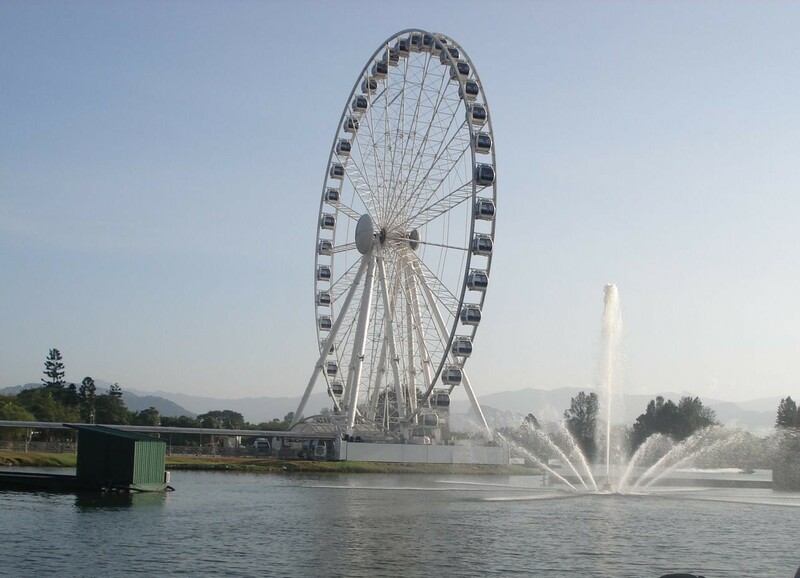 In KL, you never face any problem in getting a good accommodation facility because it is filled with quite comfortable hotels and they include diversity of accommodations at rates which suit anyone’s budget.